It’s a simpler process. In the previous post several AWS services (Route 53, Cloudfront, & Cert Manager) was needed to do what Cloudflare does by itself. It’s also cheaper as there is a cost that comes with Route 53 and Cloudfront, whereas Cloudflare is FREE. 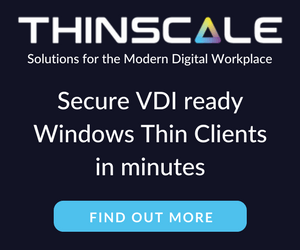 It is more secure. In the previous post we created an S3 bucket and gave it public read access, using the process detailed below the bucket is no longer publicly accessible and only accessible if coming through Cloudflare. This ensures no one can try to side step all the protections that Cloudflare offers when trying to reach my static sites. First create a S3 bucket with the same name as your domain name, be sure to include the www. and select your desired AWS region. Then enable static website hosting for the bucket under the Properties tab. Note: Be sure to replace MYDOMAINNAME in the policy with your own domain name. 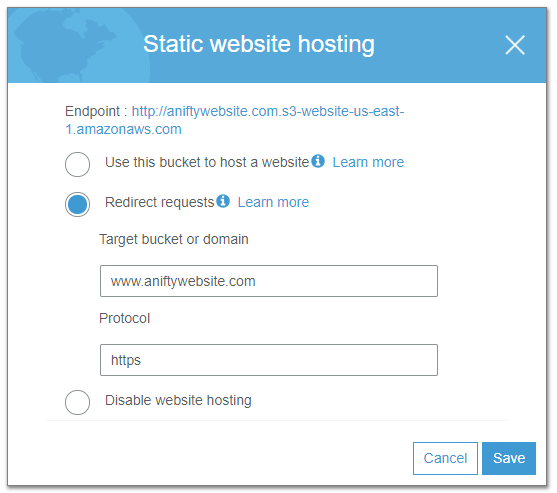 You can now upload your static website to your S3 bucket. Note: Your website will not be accessible yet. We need to create a second S3 bucket so that when users try to access domainname.com they will be redirected to www.domainname.com. Create a second S3 bucket with the same name as your domain name, this one WITHOUT the www. 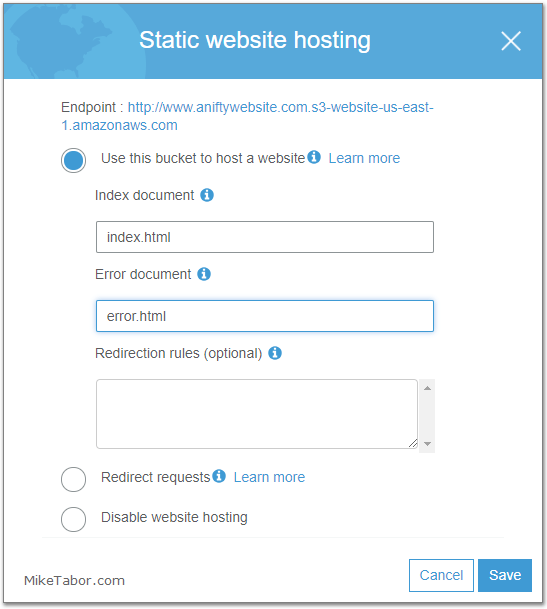 Enable static website hosting for the bucket, but this time set it to redirect to your www.domainname.com bucket. That’s it for the second bucket, now lets setup Cloudflare! 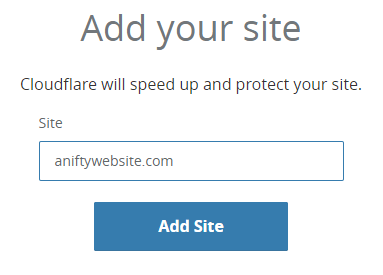 Log into Cloudflare and click on “+Add Site“. Then type in your domain name and click on “Add Site“. Then select the FREE Cloudflare plan. Feel free to use another plan if you feel you need it. Next you may have one or more DNS records associated with your domain, if so remove them by clicking on the X next to each one of them. 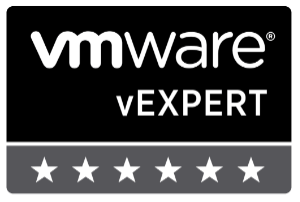 Now lets add some DNS records for our two AWS S3 buckets. We need to add a record for each S3 bucket. 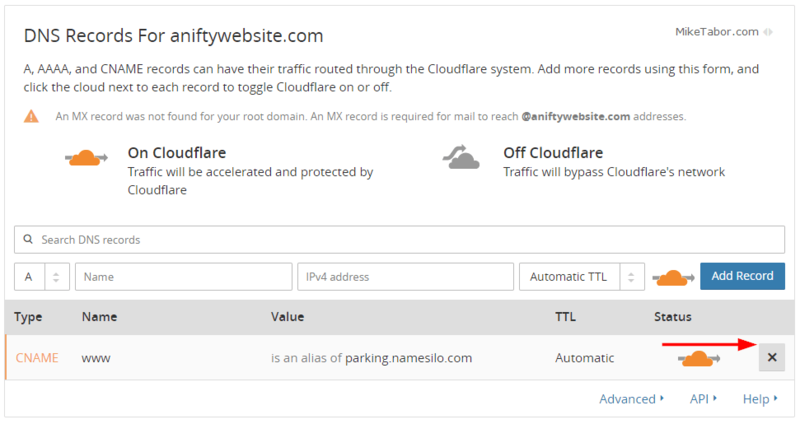 Cloudflare will then give you two nameservers to point your domain name to. So now log into your domain name registar and update the name servers to the nameservers Cloudflare gives you. At this point you’ll just need to wait for DNS to update. This could potentially take 24-48 hours, but in most cases this is much faster. There you have it, you now have a static website being hosted on S3 and the protections and speed improvements from Cloudflare. If you also use the domain for mail (e.g. via G Suite), does not having an A record affect mail delivery (e.g. recipients flagging your email as spam)? I keep getting “Invalid hostname: Use ‘@’ to represent the root domain.” at step 8 and can’t create any of the 2 CNAME records recommended there. Are you sure a step was not skipped? Maybe there should be a record there already before we can create those records in step 8. Any ideas? Make sure you’re creating a CNAME record and not another type of record. Also make sure you are NOT including the http:// in the CNAME value field. I had the same problem. Took me a while to work out that the bucket endpoint URL you get when you create it is different from the path of the data uploaded. http://www.domain.com.s3-website-ap-southeast-2.amazonaws.com, as this is the endpoint you get when the bucket is created. I had to delete the bucket and start again to get it to work. I guess that works, though it does waste a bucket for every variation of domain name you want to point at that bucket. Even though the 100 bucket limit is a soft limit, it’s still sort of annoying. Thanks for the article. I too wish AWS would offer a better way of handling this, even the ability to hide the extra bucket would be nice. Thanks for a great article, I’ll definitely be implementing this into my next website. Will this work for user generated content? I have an s3 bucket which I want to use that will allow users to upload images. These images will be deleted after 1 calendar month, however I want to make sure that I’m taking as many precautionary measures as I can in the event that my website was targeted. I completed all the points. Maybe my site is not working because this is wrong? When you try to go to “mydomain.com” are you getting any kind of error message? Recently, I made the decision to migrate my site from 1and1 (host and domain registrant) to Cloudflare and AWS. After doing so, I started scouring the net for tutorials on how to set these services up to talk to each other and get my content back online. I read a lot of confusing things and did a lot of even more confusing things in the process. This article cleared up some of that confusion and I appreciate you creating it. But with that, I do have a few questions. 1. 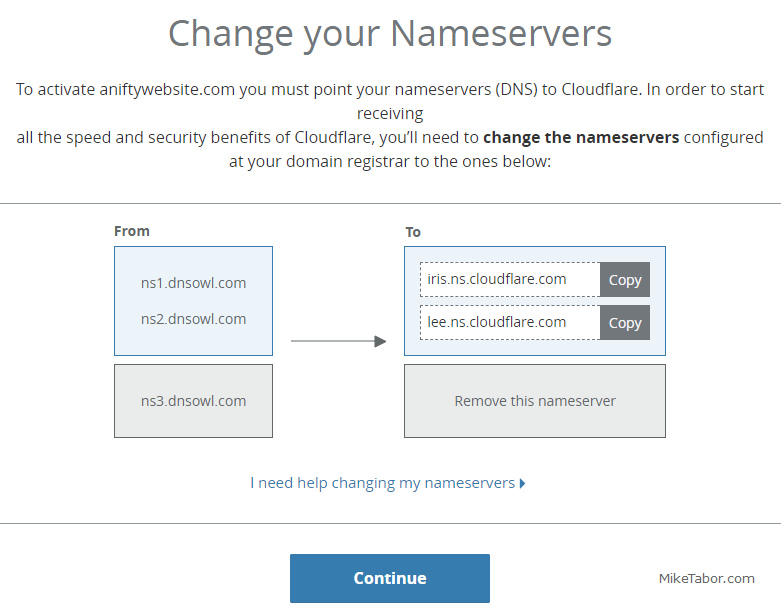 Since Cloudflare is my new domain registrant, I assume I won’t be doing anything with list #9, Change Your Nameservers. 2. If I understand correctly… the CNAME in the DNS on Cloudflare are setup to target the S3 End Points. This creates the handshake from Cloudflare to S3. And the bucket policy applied to the http://www.mysite.com means that all calls for information will be routed through Cloudflare’s IPs and anything not from those IPs will be prevented access. So the Access should say “Objects can be public” correct? Do I need to add the policy to both buckets or just the one acting as the host bucket? 3. After following these steps; I’m am getting an error. Error 522, Connection timed out. It’s showing that it’s going through Cloudflare, but that I’m not connected to the host. I only have one index.html file on the server for the time being. For testing reasons, it’s a redirect that will connect to Google when the connection is made. Thanks again for the great article. I appreciate the effort it took to get it put together and shared with noobs like myself.